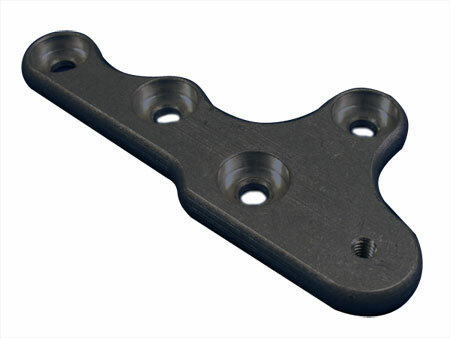 Billet aluminum header brace keeps even pressure across Briggs and Stratton Raptor (flathead) cylinder head reducing warpage. Spreads load of header brace across a much wider area. Available in hard black anodized finish.